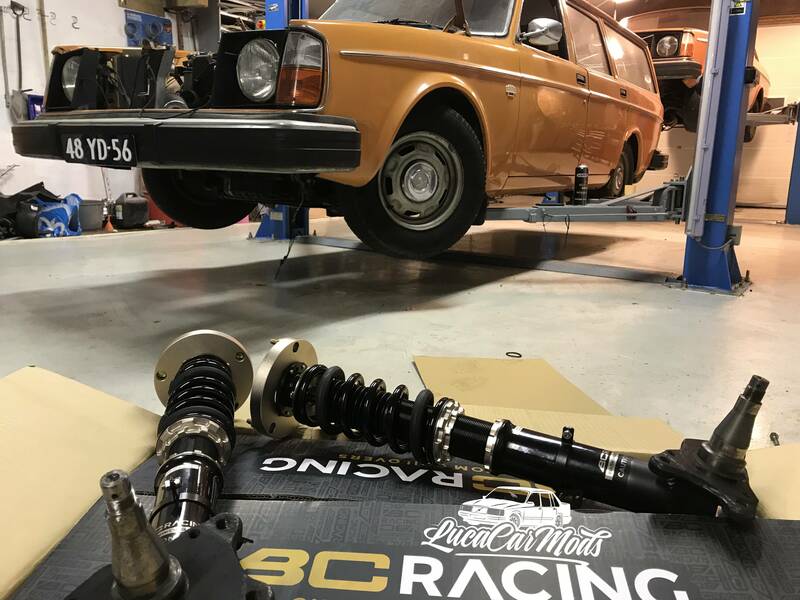 A BC-Racing coilover set is available for the Volvo 240, 740 and 940; Because Volvo has chosen to produce the knuckle and strut from 1 part, this set is not 100% plug and play straight out of the box. 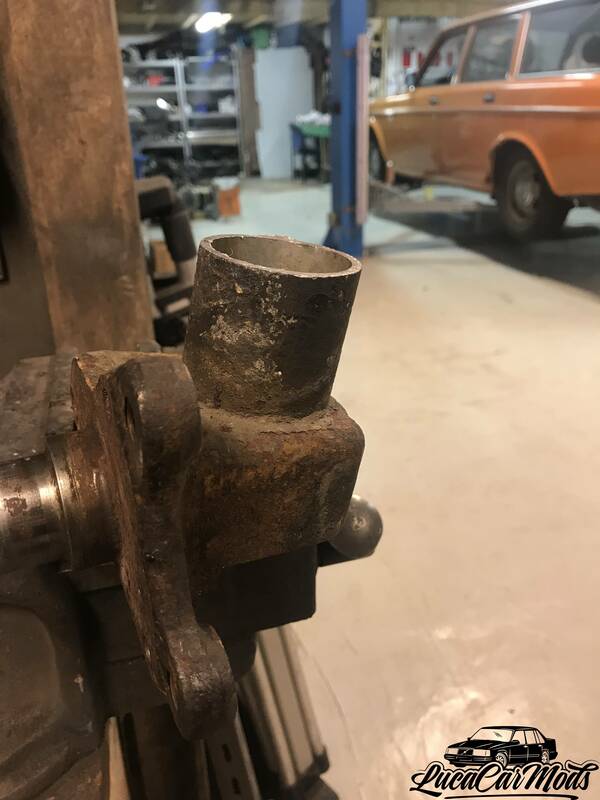 The strut needs to be cut, cleaned and then the Coilover set can be welded to the steering knuckle. 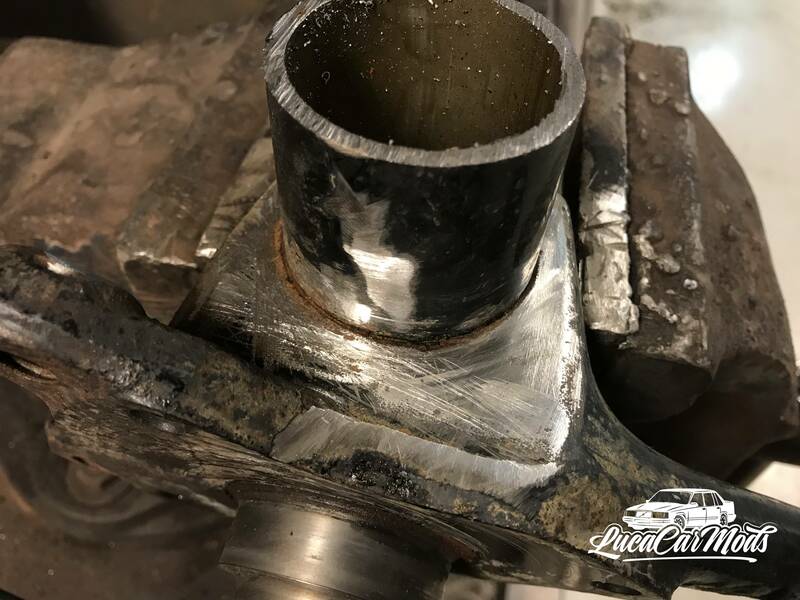 Because this is not something that everyone can or wants to do, LCM offers the BC-Racing welding service which cost € 75.00 + € 100.00 (Refundable Core charge). 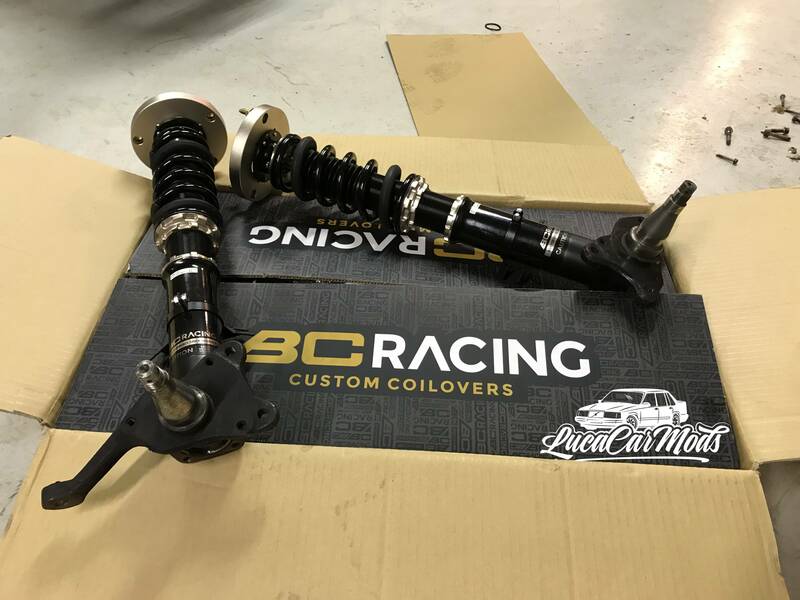 We weld the Coilovers and deliver it as a plug and play set. 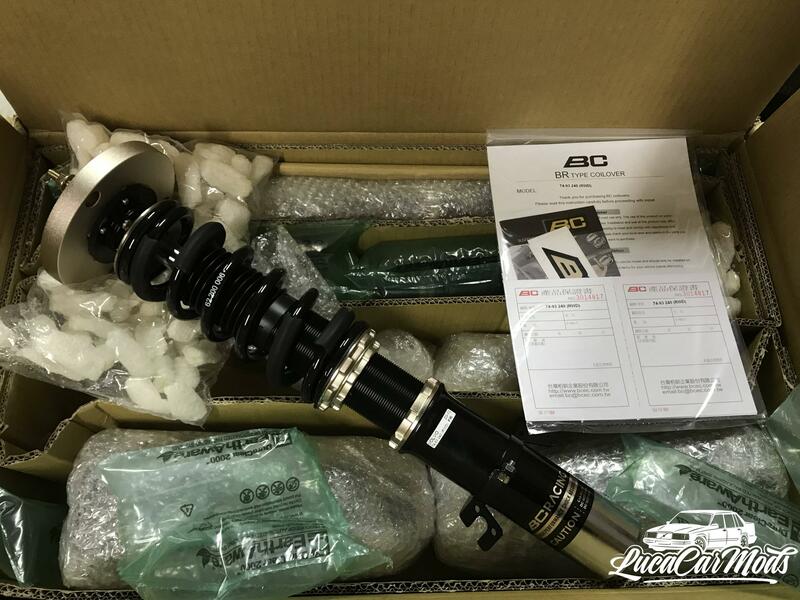 The strut must be shortened so that there is a 50mm stump protrude, this is necessary as an extra handhold for the BC-Racing coilovers. For the welding process, it is very important that the material is completely clean. This can be done with a grinding wheel on an angle grinder and a file for the tricky corners. Now that the knuckles have been cleaned up of rust and are degreased, they can be welded to the new BC-Racing set. The sets of BC-Racing are always packaged very well and are a pleasure for the eye. 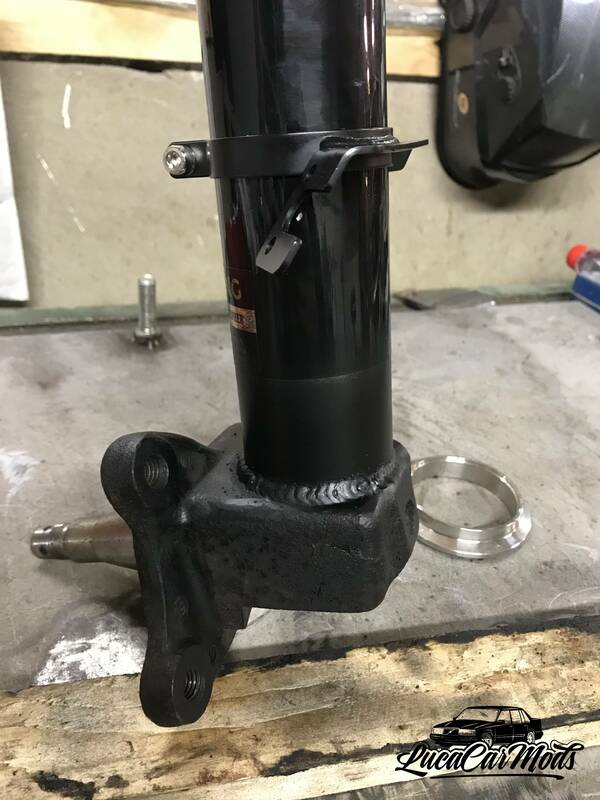 The shock absorber itself must not be heated. 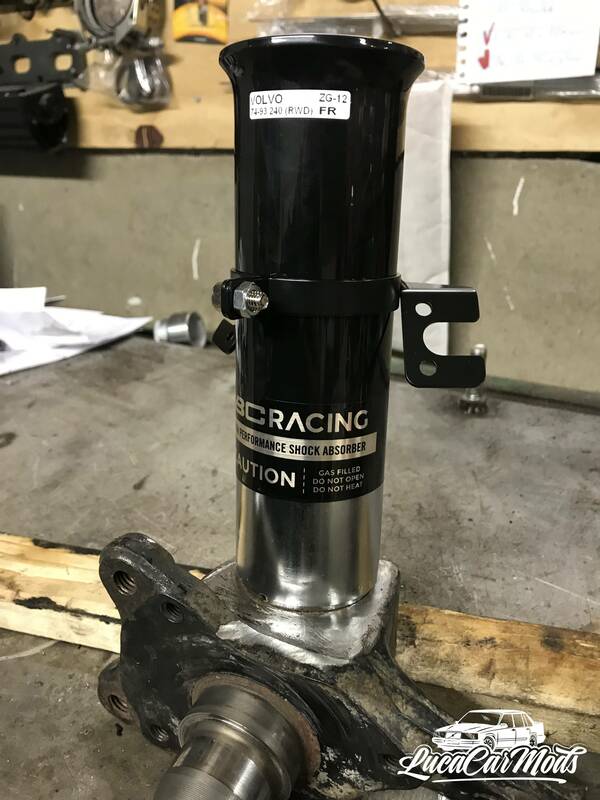 This is no problem at all with the BC-Racing because the height can be adjusted separately from the spring tension. This means that the sleeve in which the strut is located can simply be unscrewed. This should then be pushed over the stump on the knuckle. After we are satisfied with the fit and have checked that we have actually taken the right side, 4 to 5 tacks are made to prevent any warping. 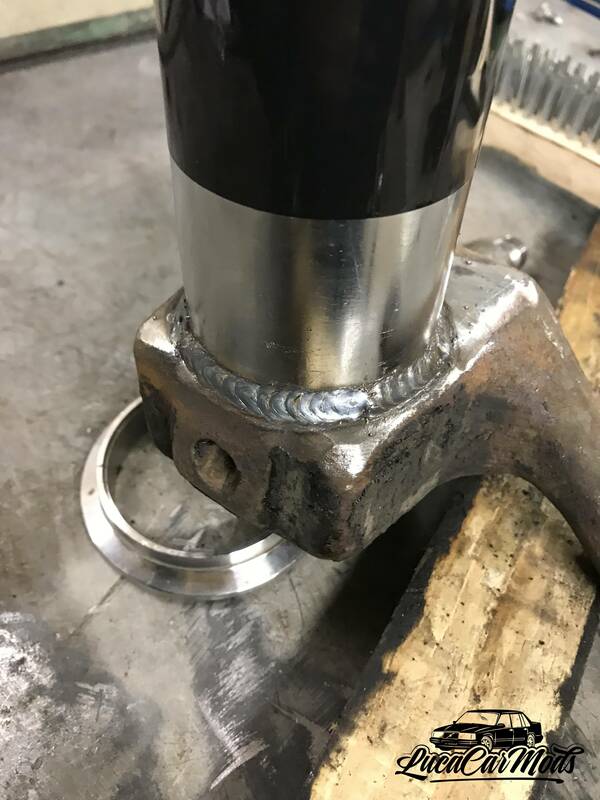 Then it can be welded in phases (I do it crosswise) with the MIG or TIG. I used the MIG in this situation.